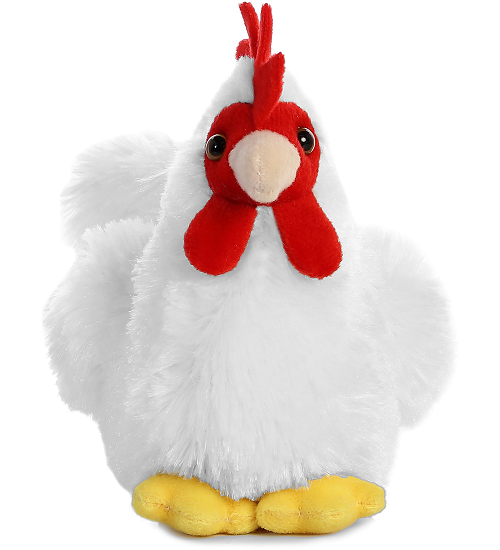 This adorable Mini Flopsies plush chicken would love to find her forever roost in your home. 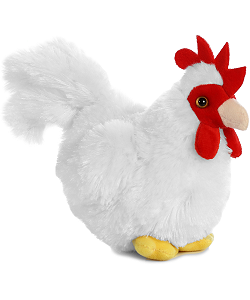 No chicken wire required, as this chicken stuffed animal is truly domesticated. 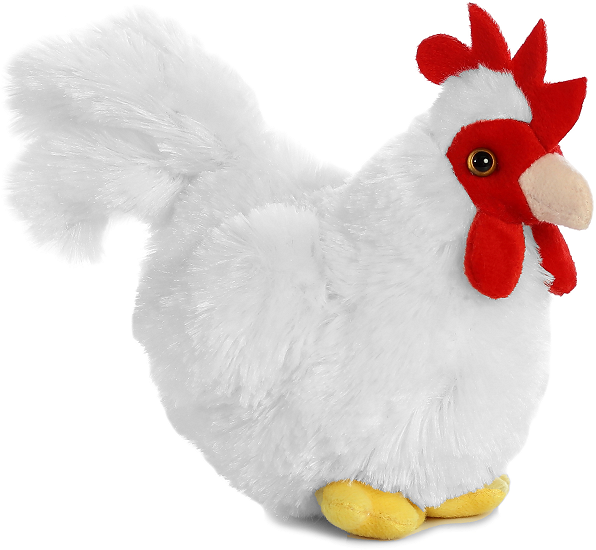 With soft white fur, yellow feet, red waddle and comb, fluffy tail "feathers," and warm brown eyes, this sweet stuffed chicken is more than a barnyard pal... she is a forever friend!